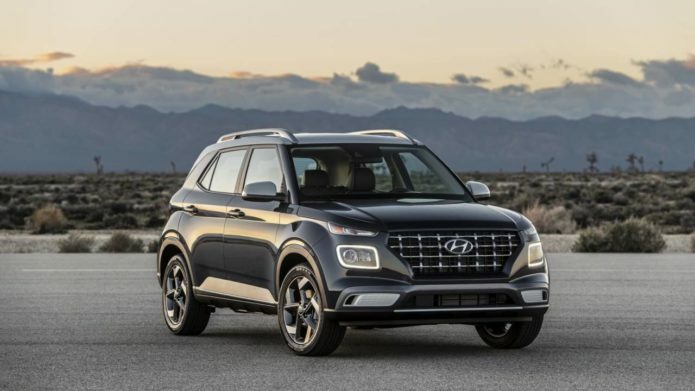 Hyundai has a new entry-level SUV, and the 2020 Venue aims to bring some of the automaker’s more expensive features downtown more affordable price point. Debuting at the New York Auto Show 2019 today, the Venue slots in beneath the Kona in size, with two rows of seats for up to five people. It’s around 5-inches shorter than the Kona, and narrower too. Despite that, rear cargo capacity – with the back bench seats up – is almost the same, at 18.7 cubic feet.